Look here to find important news and announcements about the squadron and IL-2 Sturmovik: Cliffs of Dover. Check here for information on upcoming events involving Virtual No.401 Squadron. A place for cheers, boasting, and chatting up the local birds. Pilots from other squadrons (or even from the other side of the channel) can show up here for a pint (or to issue challenges). Are you looking to join the war? Check here for information on how to sign up with Virtual No.401 Squadron. Open to Virtual No.401 members only. Squadron discussions and information, including records of flights, aircraft readiness, pilot readiness, and more. A forum for all things DCS Sabre. Operations, procedures, tips, tricks, and more. F-86 operations and mission briefs. Tactics and SOPs. A forum for all things DCS A-4 Skyhawk. Operations, procedures, tips, tricks, and more. A-4 operations and mission briefs. Tactics and SOPs. A forum for all things DCS F-14 Tomcat. Operations, procedures, tips, tricks, and more. F-14 operations and mission briefs. Tactics and SOPs. A forum for all things DCS F-18 Hornet. Operations, procedures, tips, tricks, and more. F-18 operations and mission briefs. Tactics and SOPs. An archive of past forum sections encapsulating the history of the Virtual No.401 Squadron and |450| Squadron operations. A place for training materials and information including basic aviation and pilot procedures, documents and other reference material, and general tips. A place to discuss tactics and techniques that pertain to operating fighter aircraft. 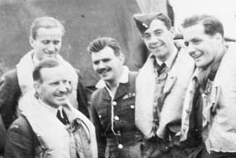 A place to discuss tactics and techniques that pertain to operating bomber aircraft.